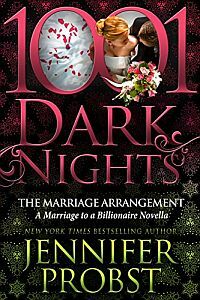 Julianna Elizabeth Waters promises her dying father to save the family estate at all costs, even if it means marrying for money, and not love. After years of taking care of her sick parents, she’s become afraid to push past the walls of her Newport mansion and live. Jack Woodward has it all – wealth, power, and prestige, but discovers a contract stating he must marry within three months or his legacy will go to his cousin, a man he loathes. He leaves England and disguises himself a gardener, intent on finding a woman who loves him for himself, and not his money and title. When he spots Julianna on the cliffs, he vows to claim her at any cost, but she is intent on marrying a wealthy husband. He may be disgusted with her values, but he craves to initiate the spinster into the dark world of pleasure. They strike a bargain: she will belong to him every night and do anything he commands. Lust turns to love as the nights unfold, and suddenly the terms change. But when his cousin comes to town, disguising himself as the perfect husband with a plan to steal Jack’s legacy, Jack forces her to choose: love or money. A wrong choice throws a startling chain of events in action. Can love and truth triumph or will it be too late?